Celebrate today with a stunning delivery of white roses. 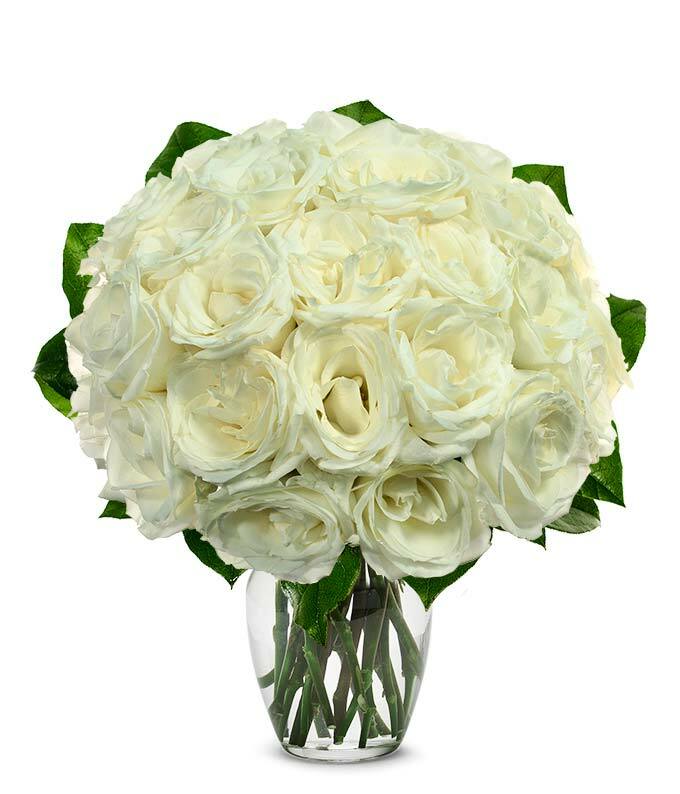 This beautiful bouquet of white rose arrangement is a wonderful gift for a birthday gift, anniversary bouquet or just because. Delivered straight from the fields, we guarantee 7 days of freshness.